Dr. Nicol Turner-Lee is Vice President and Chief Research and Policy Officer for the Multicultural Media, Telecom and Internet Council (MMTC). She is actively engaged on local and national boards and advisory committees, and has received many distinctions and awards for her involvement in various causes. 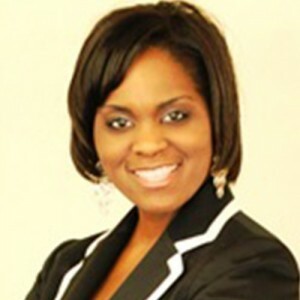 Dr. Nicol Turner-Lee is Vice President and Chief Research and Policy Officer for the Multicultural Media, Telecom and Internet Council (MMTC), a 30-year old minority media advocacy organization, where she is responsible for designing and implementing its research and policy agenda. She architects the policy and research agenda and works with civil rights, government, corporations and other stakeholders to strategize and operationalize MMTC’s work. Before joining MMTC, she was President and CEO of the National Association for Multi-ethnicity in Communications (NAMIC), a national membership association that educates, advocates and empowers for multi-ethnic diversity in the communications industry through pipeline development, hiring and retention. Prior to NAMIC, Dr. Turner-Lee was Vice President and the first Director of the Media and Technology Institute for the Joint Center for Political and Economic Studies, one of the nation’s leading research and public policy institutions whose work focuses on issues of concern to African Americans and other people of color. At the Joint Center, Dr. Turner-Lee created the first “National Minority Broadband Adoption Study” that was cited in the Federal Communications Commission’s congressionally mandated National Broadband Plan as well as a subsequent report detailing the information needs of communities. Dr. Turner-Lee was recently appointed to the U.S. State Department’s Advisory Committee on International Communications and Information Policy (ACICIP) by Ambassador Daniel A. Sepulveda. She also serves on the Apple ConnectEd Advisory Board and is a Visiting Researcher at the Center for Gender Equity in STEM for Women and Girls at Arizona State University. In 2011, Dr. Turner-Lee was appointed to the Federal Advisory Committee on Diversity in the Digital Age by former FCC Chairman Julius Genachowski. Last year, Dr. Turner-Lee was given the Lifetime Achievement Award for leadership in media and technology by the Rainbow PUSH Coalition and she received the Partner in Service Award from the Sigma Rho fraternity. Prior to this, she has been honored by the Alliance for Women in Media as one of their 60 most inspiring women in media, by CableFax as one of the Most Influential Minorities in Cable and one of the Most Powerful Women in Cable, by MMTC for its Extraordinary Service Award, by Multichannel News as one of their “Women to Watch,” and other organizations for her extraordinary service. She has also been selected twice by Time Warner Cable as one of four participants in their signature Digital Research Program. Her other recent recognitions have come from the National Organization of Black Elected Legislative (NOBEL) Women, and the National Coalition of 100 Black Women-Northern VA Chapter. Dr. Turner-Lee is actively engaged on local and national boards and advisory committees. She is Secretary for TPRC (a national research collaborative focused on information policy), the Chairwoman for the Rainbow PUSH Coalition’s Public Policy Institute and STEM4US, a Washington-based non-profit working to accelerate diversity in the fields of science, technology, engineering and math. She also sits on the Board of Directors for the Washington Literacy Center that works to end adult illiteracy in the DC area. Dr. Turner-Lee is also the author of several publications with two forthcoming on lifeline program reform and zero ratings. She is also a sought out speaker and panelist on media, telecommunications and high tech industries. She graduated with honors from Colgate University, has a doctorate in Sociology from Northwestern University and a Certificate in Nonprofit Management from the University of Illinois-Chicago. She is the proud mother of Keith and Chloe and serves as Secretary of her son’s local Boy Scouts troop.